On the 30th anniversary of the terrorist bombing that turned the tide of opinion toward peace, Northern Ireland is in danger of turning back to violence — because of Brexit. The region of Britain that gained the most from European Union (EU) membership could suffer most from the majority’s decision to leave. 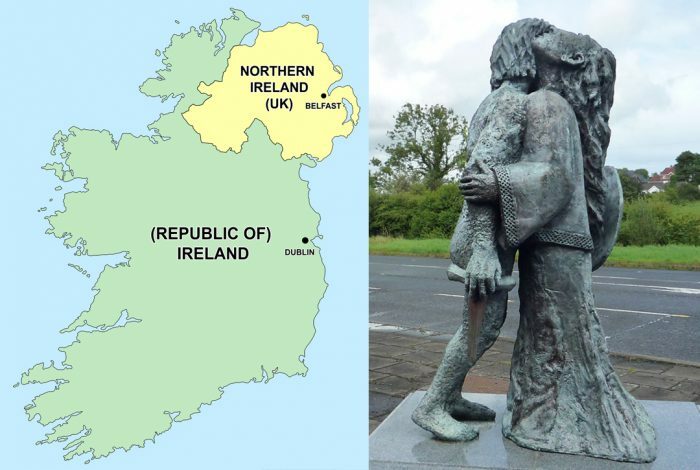 At issue is the border between Northern Ireland — still a part of Britain and thus part of Brexit — and the Republic of Ireland, which would remain in the EU. While the overall result of the Brexit referendum was to leave, the population in Northern Ireland voted 56.8% to stay. Over the past 25 years of hard-won peace, Northern Ireland has recovered from the financial depression that accompanied the violence and has thrived, due in no small part to a great amount of EU financial support. The lack of a credible plan for the border between Brexit Britain and the EU Republic of Ireland could plunge Northern Ireland back into the violent uncertainty of its recent past. The muddle over the border also threatens to hold up exit negotiations between the EU and Britain. When the 1916 Republican Easter Uprising led to freedom for the Republic of Ireland from British rule, the six mainly Protestant counties in the north remained British, creating Northern Ireland. 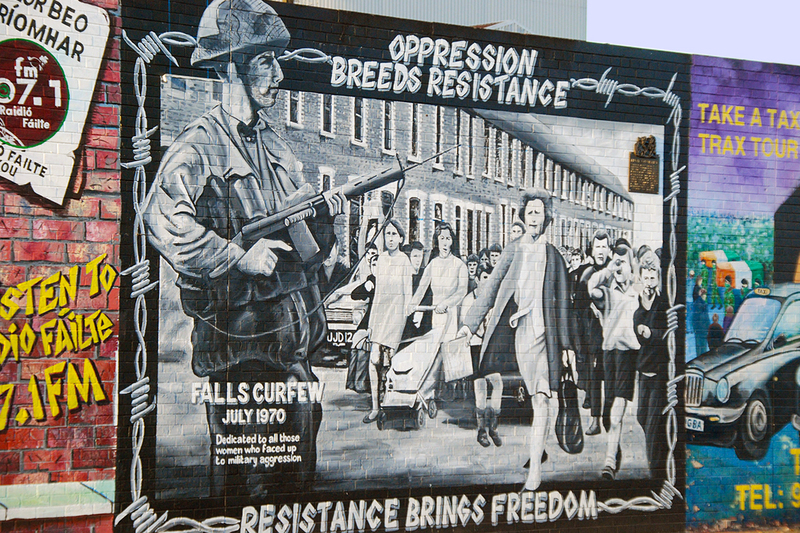 This separation led to decades more unrest and violence in the cities and the southern border area of Northern Ireland. That ended when the two sides signed the Good Friday Agreement, which went into effect in December 1999. Those who remember the grim days of car bombings and sectarian killings from the 1970s through the 1990s may find it hard to believe that Northern Ireland was recently named the best area in the world to visit by Lonely Planet. This astonishing turnaround resulted, in no small part, from Britain’s and Ireland’s membership in the EU. A key to implementing the Good Friday Agreement was the Schengen agreement, which allows goods and people to move across EU borders without checkpoints. Northern Ireland is the part of the UK that has benefitted most from membership of the EU; it remains unclear what practical effects Brexit will have on those living in the region. An estimated 30,000 commuters cross the border in both directions to work every day. How would a new ‘Brexit’ border affect this? What would it even look like? Will there be physical barriers and checks at all 200 crossing points? And, if there are, what would happen if one of these checkpoints were to be attacked? Would the British army once again start patrolling the squiggly 210-mile line that separates Northern Ireland from Europe? The EU head of Brexit negotiations says talks cannot begin until this issue is resolved. But planning is not being taken seriously by Westminster, with Prime Minister Theresa May promising a “soft border” without any concrete plans. This has produced a furious reaction from Martina Anderson, a Member of the European Parliament for Northern Ireland, who said May could stick her plan for a border “where the sun doesn’t shine.” Anderson served 13 years in jail as a member of the Irish Republican Army (IRA). Mirroring other election results around the world, the last British election further polarized the political makeup of Northern Ireland. The moderate SDLP party was wiped out, losing all its seats in Parliament. Seven pro-United Ireland Sinn Féin party candidates were elected by border constituencies to represent them in Westminster, and 10 right-wing Democratic Unionist Party (DUP) MPs were elected by constituencies in the far north and east. To add insult to potential injury for Northern Irish border dwellers, May has clung to power and tipped a divided Parliament in her favor by making a pact with the far-right DUP. To demonstrate against British rule in Northern Ireland, Sinn Féin MPs abstain from taking seats in Westminster, which plays into May’s favor as there are seven fewer votes against her fragile majority. The southern border of Northern Ireland is a far cry today from the terrorized land it was 30 years ago, when a large bomb ripped through the respectful dignity of a Remembrance Sunday veterans’ parade in the small border community of Enniskillen. Twelve people — 11 civilians and one policeman — lost their lives, crushed by a building brought down by the blast. One victim died after 13 years spent in a coma. Sixty-three men, women and children were injured. The IRA claimed responsibility and said that the loss of so many civilian lives had been a mistake, as they had been aiming for British soldiers parading to the event. No one has been brought to justice for the attack, which drew condemnation even from the IRA’s gun-runner-in-chief, Libya’s Colonel Qaddafi. The bombing, born from the IRA’s desire to exact revenge for a Royal Ulster Constabulary attack on Catholic mourners at an IRA funeral, led to more violent reprisals, following the well-worn pattern of the conflict. But the shocking nature of the bombing at Enniskillen, the widespread condemnation of the carnage and in particular the graceful forgiveness shown in the immediate aftermath by grieving future peace-campaigner Gordon Wilson — who was injured and lost his daughter Marie in the blast — were the catalysts that brought the cycle of revenge killings to an end. Eleven years of hard work and compromise led to the ratification of the Good Friday Agreement — the foundations of which are rooted in EU law. There was little coverage in the media of what might happen if the UK were to leave the EU, in particular what would happen to the peace accord within Northern Ireland. Indeed, few paid attention when two ex-prime ministers, Sir John Major and Tony Blair, reached across the aisle to warn that there would be grave problems. Despite such calls for clarification, May’s government has so far not released an amended plan. Some in Ireland have called for “Irexit” — that is, for all of Ireland to remain aligned with the UK as opposed to Europe. Sinn Féin and its supporters hope Brexit will eventually lead to a united Ireland. But, if history is anything to go by, there will be an angry few who fight against this outcome tooth and nail, and the disarray could lead the region down the same path as has already been walked — with deadly results. Related front page panorama photo credit: Adapted by WhoWhatWhy from UK flag (Unknown / Wikimedia), Republic of Ireland flag (SKopp / Wikimedia) and Peace Line, Belfast (Ross / Wikimedia – CC BY-SA 2.0).